Over the weekend, the talk around the town (and the world, to be honest) has been about Brexit. But here’s one man who really felt very passionately for the matter. In the UK, The Independent reported of a man named Laurence Taylor who took out a full page ad in the Metro newspaper to address the issue. 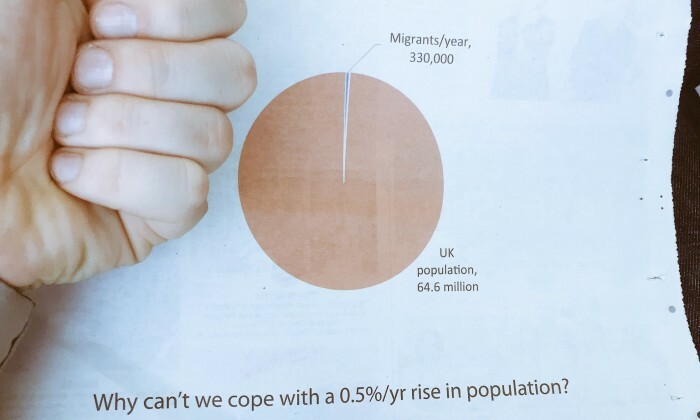 According to the ad, Taylor paid for the spot out of his own pocket and used data from MigrationWatch and the Office for National Statistics to showcase how small the number of migrants coming into Britain really was. Meanwhile in a statement to Marketing, Nick Waters, APAC CEO of Dentsu Aegis Network echoed similar sentiments saying there will be considerable volatility in financial markets in the immediate aftermath of Brexit. “It will be a turbulent situation for some time, creating uncertainty which is bad for business. Sterling has already depreciated which will put the cost of imports up for UK consumers. Asian markets which have large export relationships with the U.K. will likely experience some slowdown in trade,” he added. Waters added general uncertainty around the world created by Brexit will be negative for business in the short term. The longer term consequences are not yet possible to forecast. Nestlé is attempting to drive its Nescafé Dolce Gusto brand deeper into the Singapore psyche with a CRM drive across Southeast Asi..
Samsung has signed a sponsorship agreement for the 17th Asian Games Incheon 2014, providing multifaceted support during the Games,..
Edelman launches new specialist research and analytics unit Edelman Berland to offer tracking and analysis tools for online commun..